Porsche's 2011 Cayenne S hybrid will go on sale next month, carrying a $68,675 sticker price tag, including transportation. Porsche says the hybrid will accelerate from zero-to-60 miles per hour in 6.1 seconds and has a top speed of 150 mph. The automaker estimates fuel economy at 21 mpg in the city and 25 mpg on the highway. The SUV can drive on electric power alone up to 37 mph. 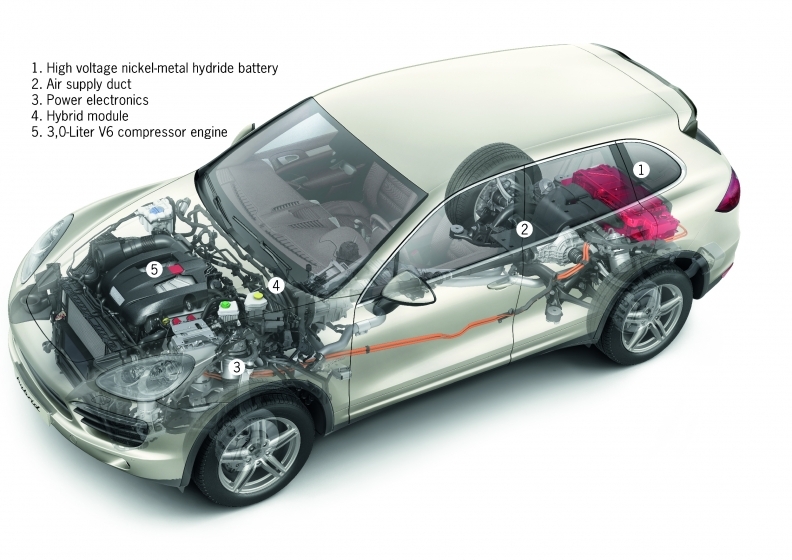 The Cayenne S is powered by a 333-horsepower supercharged 3.0-liter V-6 and a 34-kilowatt electric motor producing 47 horsepower. The hybrid system uses a 288-volt nickel metal-hydride battery fitted beneath the luggage compartment, and regenerative braking. The braking system stores electricity gained from applying the brakes, and the electricity is used to propel the vehicle in electric drive.